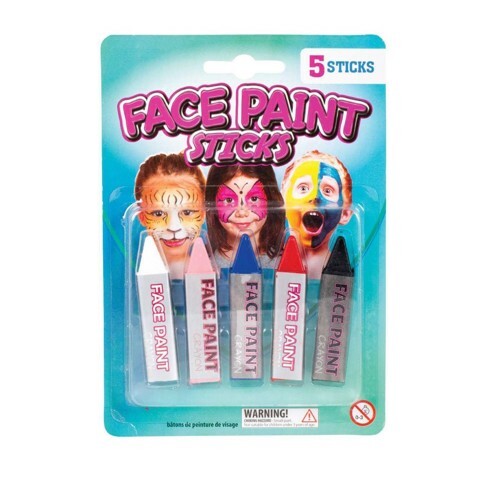 Face Paint Stick Asst Cols 5Pc. Crayon Size: 6.4 x 1.4 x 0.8cm. 5 Assorted Colours Per Pack: White | Pink | Dark Blue | Red | Black. 100% Crayon. 0 Packaging: Blister Card.